Patti Rogers served as the Executive Director of the Arkansas Spinal Cord Injury Commission (ASCC), a statewide service program for Arkansans with spinal cord disabilities, from 2013-2016. 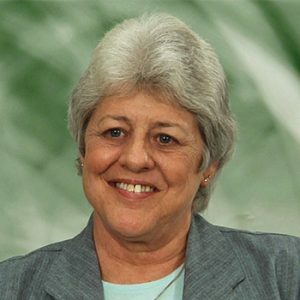 She began her tenure with the State of Arkansas in 1983, working with the Development Disabilities Services. She is an active member of the Arkansas Spinal Cord Foundation and the Academy of Spinal Cord Injury Professionals. She also has served on the American Association of Spinal Cord Injury Psychologists and Social Workers Board of Directors. What factors determine where a spinal cord injury patient goes after leaving the hospital? What are the elements of a discharge plan for a spinal cord injury patient? What is the single most important factor in making a good adjustment to life in a wheelchair after a spinal cord injury? What can family members do to encourage a good adjustment to life in a wheelchair after spinal cord injury? 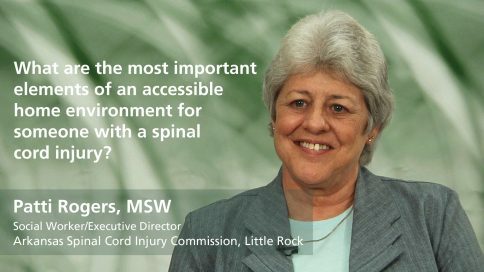 What are the most important elements of an accessible home environment for someone with a spinal cord injury? What’s the role of a caregiver after a spinal cord injury? Why do caregivers of someone with a spinal cord injury need to be trained before leaving the hospital? What caregiver services do government programs (SSID) cover for spinal cord injury? How can families of someone with a spinal cord injury evaluate potential caregivers? What strategies can help prevent burnout for a caregiver of someone with a spinal cord injury?